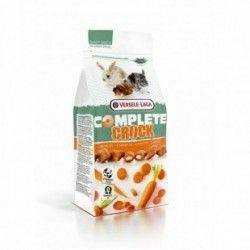 - Suitable for small rodents and rabbits. - Help the wear and tear necessary to the teeth. 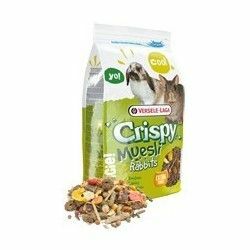 Crispy Muesli Rabbits / rabbits for rabbits, dwarf rabbits interior is a complete food, tasty and rich in fiber that contains delicious stalks of hay, flakes of many kinds and vegetables... 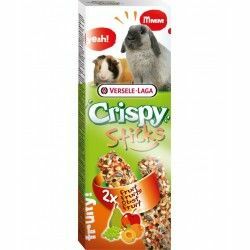 Thanks to the grain "Happy & Healthy" which contains, Crispy Muesli includes all the nutrients your rabbit needs to live a long time happy and enjoying good health. 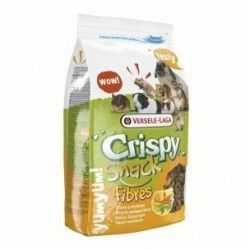 Complementary food, snacks mix, for small mammals, extra crispy and rich in fibersIdeal for herbivores such as rabbits, guinea pigs, chinchillas and degus.Healthy Snacks that stimulate the instinct to gnaw.Composition:Derivatives of vegetable origin, cereals, vegetables (10 %), minerals,seeds. Crispy Snack Popcorn is a complementary food rich and lightweight for rabbits and rodents. Supercrujiente! 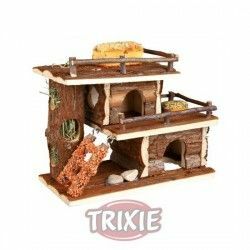 It is a mixture varied and exquisite for your beloved pet. With delicious chunks of veggies, rolled with crispy and toasted grains. Crispy Sticks, Rodents, Fruit snacks 2un. 110 Gr. 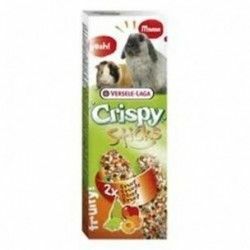 Crispy Snack Fiber is a supplement in the diet of small rodents, is rich in fiber to facilitate intestinal functions. 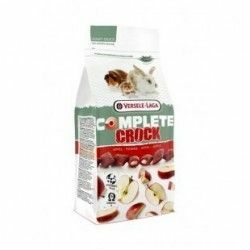 Complete food for rabbits in the form of granules and packed in atmosphere proteectora to keep all the properties of this super food. Daily nutrition is rich in fiber for rabbits adults. Pesticide-free. Frabricado with timothy hay sun-cured for a healthy digestion.